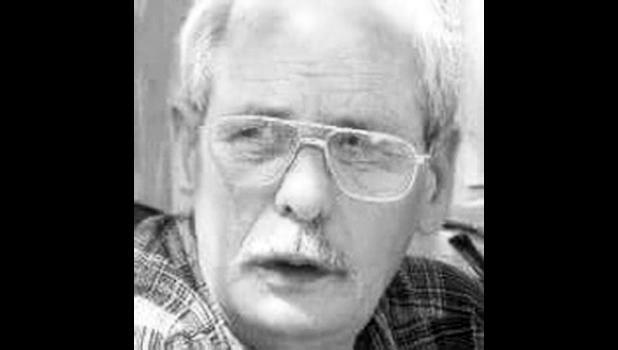 Larry Dale Springer, 71, of Topeka, died Monday April 16, 2018, at his home. He was born May 26, 1946, at Seneca, the son of Dale and Ethel Pease Springer. He received an associate’s degree in respiratory therapy from the University of Tempe, Ariz., and attended Washburn University. Larry was a veteran of the U.S. Navy, having served as a Corpsman in Vietnam. He was a member of American Legion Post No. 400 in Topeka and the Wichita Gem and Mineral Society. Larry worked as a respiratory therapist for 18 years and as a locksmith for 30 years. He married May Eng on June 19, 1971 in Newark, New Jersey. She survives of the home. In November through March you could find Larry sitting in his favorite recliner watching his beloved Jayhawks play Big 12 basketball. NOTHING was to be scheduled on game day!!! His favorite pastime was smoking his pipe in the basement and perusing Craigslist looking for farm implements he felt Dan and Kim needed for their squirrel corn business. But his passion was rocks, especially looking for and collecting them. He and May took at least two trips a year in their 22-foot fifth wheel camper, with very special friends from California, to look for rocks. Larry learned how to make spheres and created some beautiful pieces. He also enjoyed cutting rocks into gorgeous cabochons to make into jewelry. Larry loved the Lord and he loved his family. He doted shamelessly on his beautiful daughter’s family and grandkids. And, although we can’t prove it, he loved to cheat at Hand and Foot at the monthly family card games. He was preceded in death by his parents; a brother, Robert E. Springer; and three brothers-in-law, Richard Mannell, Alvin Rimmel and Roger Fund. Other survivors include a daughter, Kimberly Rae Springer-Reed and husband Daniel, Hiawatha; two grandchildren, Jacoby Dale Springer-Good and Hanna Mae Reed; a brother, James D. Springer and wife Shirley, Topeka; and three sisters, Nancy M. Rimmel, Topeka, Virginia A. Mannell, Holton, and Dorothy E. Rygielski, Topeka. Funeral services with military honors will be held at 11 a.m. Saturday, April 21 at Chapel Oaks Funeral Home in Hoyt with Pastor Tim O’Byrne officiating. Cremation will follow the service. Larry will lie in state Friday at the funeral home where family and friends will meet from 6 p.m. to 8 p.m.